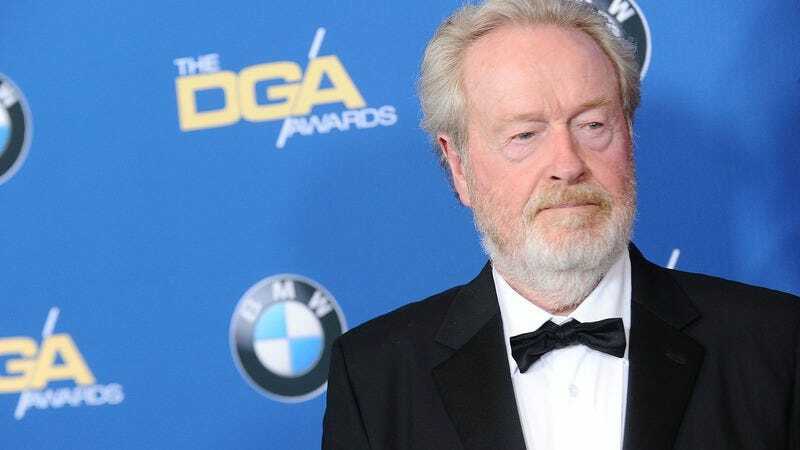 Perhaps wanting to remind the public of the role his homeland played in ending World War II, Ridley Scott is planning to direct a movie about the Battle of Britain. Deadline reports the Alien: Covenant director and 20th Century Fox are circling a film about one of WWII’s most significant military campaigns, which saw the Royal Air Force battle it out with the Luftwaffe for nearly four months in 1940. The Brits emerged with victorious, stiff upper lips firmly in place, and now their underdog story will be dramatized by Matthew Orton, who’s also written the Oscar Isaac-led Operation Finale. Deadline notes this is a passion project for Scott, who has wanted to depict “Britain’s finest hour” for a while now. He’ll have some help from Bridge Of Spies scribe Matt Charman, who’s executive producing. This decisive WWII battle did get the silver-screen treatment in 1969, courtesy of Guy Hamilton’s Battle Of Britain. If, between Operation Finale and this new Scott film, you still don’t think there are enough WWII movies on the horizon, there’s also Christopher Nolan’s Dunkirk.